While rare, water can get into your lungs while you swim. This may cause pain and discomfort as you breathe. Water left in your lungs after swimming may eventually seep into the air spaces of your lungs. This is known as a pulmonary edema. 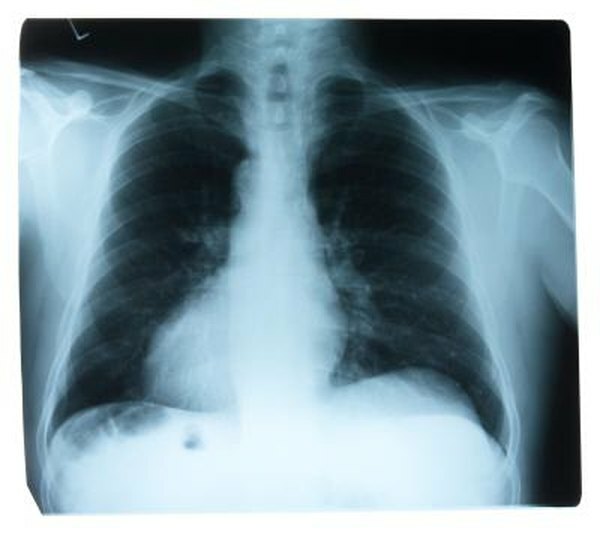 Water can also leak into your chest cavity causing pleural effusion. It is rare for these medical conditions to occur as the result of swimming, but they do require medical attention. Try expelling the water from your lungs. Cough as hard as possible to remove the water from your lungs. Seek medical attention if you have extreme discomfort while breathing or had a near-drowning experience. Take a diuretic drug at the discretion of your doctor. A doctor may recommend a drug to help naturally rid your lungs of water. Diuretics work to remove excessive amounts of water from your body as urine by lowering your blood pressure and naturally drying your lungs out. Have the water flushed out of your lungs. A doctor may recommend performing a procedure to suction the water out of your lungs. A tube is inserted into your lungs and the water is suctioned out with the help of a lung catheter. Have your lungs drained. If water is located in your chest cavity, your doctor may recommend a procedure known as thoracentesis. This procedure involves inserting a chest tube between your ribs. The tube then suctions water out, allowing your lungs to function normally. While accidents happen, try to keep your mouth closed as much as possible during swimming to avoid ingesting too much water. To avoid drowning or near-drownings, never swim alone.